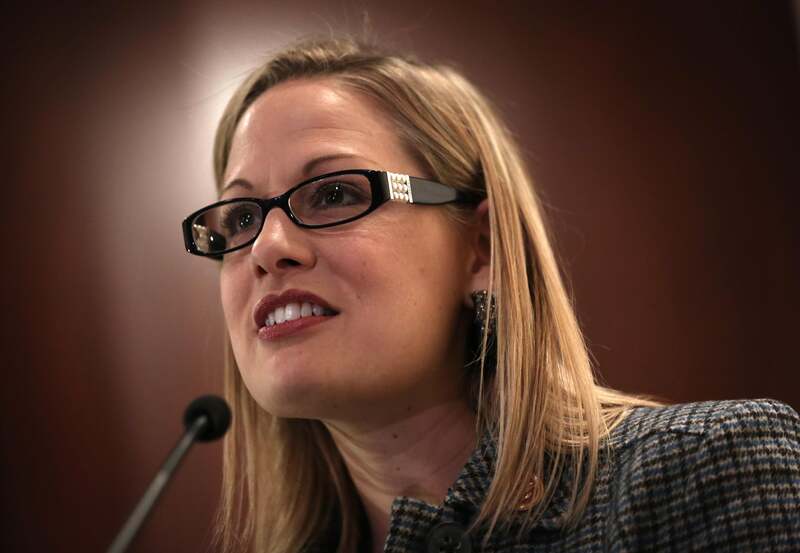 Will Kyrsten Sinema run for Ed Pastor's seat? Twenty-three years ago, a county supervisor named Ed Pastor ran to replace the legendary Rep. Mo Udall in the House of Representatives. Pastor won, becoming—seriously, it took this long—the first Hispanic congressman from Arizona. He held the seat easily, rising in the Democratic ranks, making less and less news as his Phoenix-based district grew safer. In 2012 he didn’t even attract a Republican challenger. Last week, Pastor announced his retirement. Ambitious Democrats dogpiled into the race, led by Iraq War veteran and state Rep. Ruben Gallego, state Rep. Steve Gallardo, and Maricopa County Supervisor Mary Rose Wilcox. No Democrat has won a Senate seat in Arizona since 1988, so a safe seat in Phoenix looks like a comfortable place to build from until the state becomes competitive again. Enter Rep. Kyrsten Sinema. Elected narrowly in 2012, the first openly bisexual member of Congress sprang up immediately on the GOP’s target list. Her current district borders on the Pastor seat. Her old legislative district overlapped here. It would be easy, theoretically, for her to switch races. Brahm Resnik has already scooped an email, circulating among Sinema’s staff, setting up a meeting about her “options.” Sinema has remained completely silent, publically, about whether she’ll switch seats. Local Democrats are already fuming about a possible Sinema campaign. With reason! Sinema’s “the only one who can win” her current seat, according to Gallego, who has something of an interest here. That’s partly because she’s cast conservative votes, when necessary, to avoid looking too liberal. She was one of only nine Democrats who voted for the GOP’s 2013 CR that would have delayed the individual mandate, angering the left; she joined a larger group of Democrats who voted for the “mini-CRs” designed to split the party by funding popular budget items. Just a month ago she joined the Blue Dog Democrats, that waning faction of sort-of-conservatives, clearly angling to win in an R-leaning district. So what happens when Sinema takes that record into a safe blue seat that’s only 40 percent white? Simple: She splits the party and probably loses.